Time to do some sleuthing! Ianassa’s all fired up! 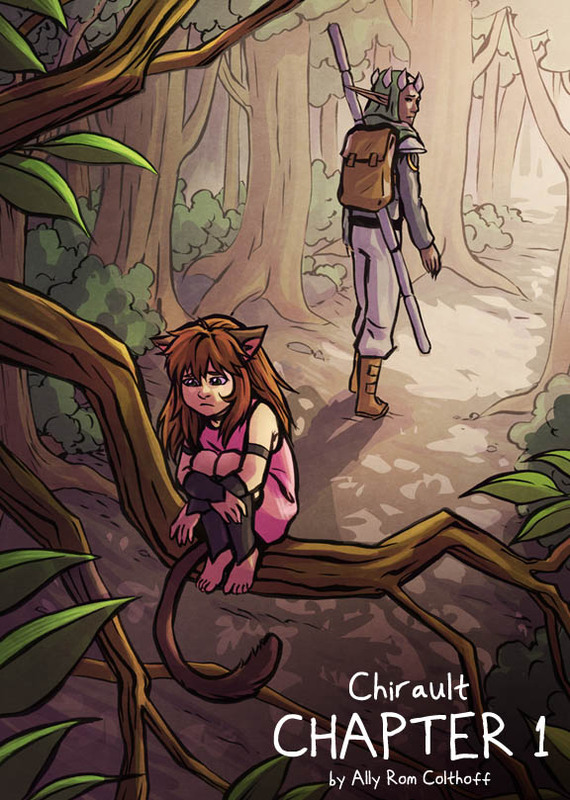 Comic shoutout this time: Chirault by Ally Rom Colthoff. A fantastic fantasy comic where plot twists and turns await at every angle, and they’re all centred around magic and demons. All the characters are memorable and some are just so enjoyable to watch, like Teeko; a tiny cat girl who got shrunken and is trying to find a way to get back to size. Great action, great humour and excellent dialogue that brings out some politics about magic maintenance. Filled with creative beasties, amazing characters, beautiful settings, and all drawn very neatly in ink. I absolutely recommend this long comic to any person who loves fantasy.